Classes Jr. K.G. & Sr. K.G. 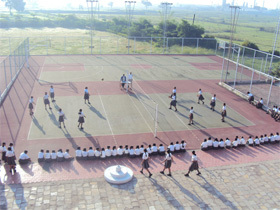 The school is being set up by Bharatiya Vidya Bhavan's Raipur Kendra with donation from the SARDA group and has commenced from April 2010 for classes JKG - 5. 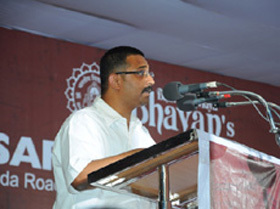 Progressively, over a period of 4 years, we plan to affiliate ourselves with the CBSE. True to its tradition, Made a humble but impressive effort to spread Indian culture through a concert. 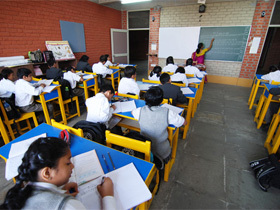 Follow the curriculum as prescribed by the NCF and laid down through the textbooks prescribed by the NCERT. 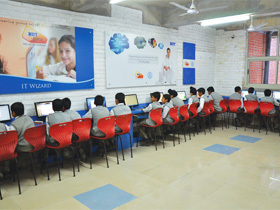 All digital classrooms with multimedia facilities so that technology could effectively enable learning. 63 years of independence have gone by and we as a nation have moved on from a Hindu rate of growth to an exploding liberalized rate of growth. Surely in last 20 years, we have outpaced most of the world and have emerged as the front-runners to an array of things as diverse as a permanent seat in the United Nations Security Council to becoming one of the most corrupt in the comity of nations. It is no secret that we are at the forefront of one of the most exciting and promising of all ages of human history. 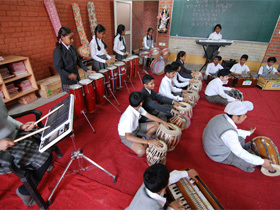 The Bharatiya Vidya Bhavan, an internationally reputed institution dedicated to the promotion of education and culture, is a charitable public trust founded by Dr. K.M. 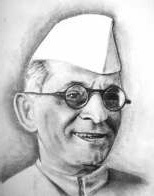 Munshi on November 7, 1938. The founding members of the Bhavan include Dr. Rajendra Prasad, the first President of the Republic of India, Shri C. Rajagopalachari, the first Indian and last Governor General of India; Pandit Jawaharlal Nehru, the first Prime Minister of free India; Sardar Patel , Deputy Prime Minister and Home Minister, several distinguished scholars, statesmen and leaders of modern Indian renaissance. 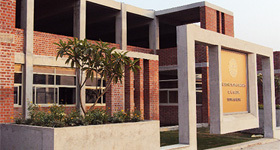 From small beginning, the Bhavan has grown into a great intellectual, cultural and educational movement with 112 Kendras in India, 8 overseas Centres (in United Kingdom, United States of America, canada, Portugal, South Africa, Kuwait, Maxico and Australia) and 280 constituent institutions, besides a number of affiliated colleges.